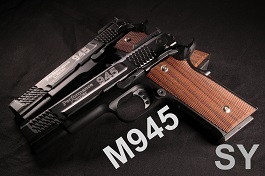 History : The TT 33 is a sovietic pistol designed in the 20s to replace the Red Army Nagant revolver and adopted in 1933. 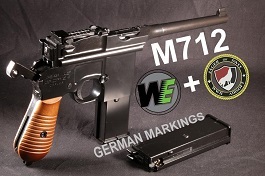 With a simple and inexpensive design (no security) he was at once precise and powerful that’s why it was subsequently produced by several countries of the Warsaw Pact and thus used in all the conflicts of the twentieth century. 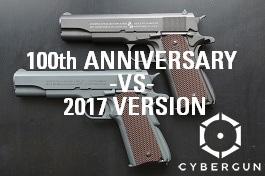 Used in the USSR into the 60s, it was replaced and massively distributed to its military allies, that’s why – found all over the world – it will suit many outfits in airsoft. 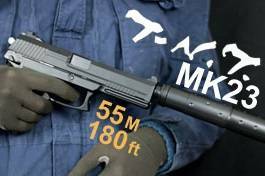 Specifications : The WE TT-33 is a gas GBB, firing about 340 fps with green gas. 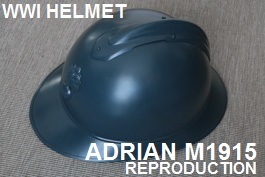 It is all metal, but remains lightweight (690g) due to its small size (19.4cm). 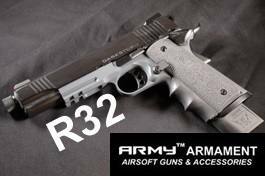 It is equipped with an adjustable hop up, allowing him to shoot the 14 BB’s of its magasine as straight as possible. Unlike the RS model, it is equipped with a safety. It is found in Asia at around $ 95 in its black version, $ 110 for the silver model. 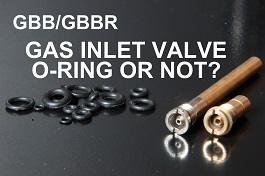 Appearance : Integrally made ​​of a metal alloy, the GBB has neither default machining trace nor molding. On the contrary, the metal looks “brushed” giving the impression of a replica carved from a block of steel. The edges are sharp and not all rounded as some coarsely molded GBB. In addition, the paint gives a beautiful glossy effect. Realistic markings include Cyrillic characters, stars and the date 1941 present on the slide and the frame. 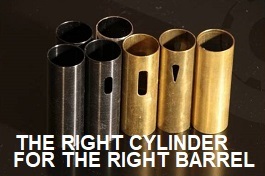 Not only are they beautifully engraved but they have the good idea not to be imperfectly aligned, giving an effect of “quickly engraved at the output of the factory before being sent to the front”. Slight fly in this idyllic ointment, grips : look is not disgusting, not beautiful, however the CCCP logo is finely molded. Small detail : the rings at the bottom of the handle and the bottom of the magasine are not steel which is a bit regrettable as a matter of strength. 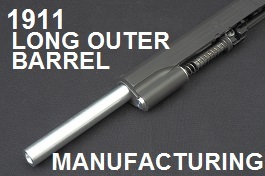 Another detail : WE has added a thread on its outer barrel allowing with an adapter to mount a silencer, tasteless! Handling : Deemed uncomfortable, I personally find it very comfortable to hold but those who have large hands won’t have the last finger on the handle. Release button spring is weak as in many GBB but the button has the good taste to have a longer course, which limits the risk of unintentional unlocking. 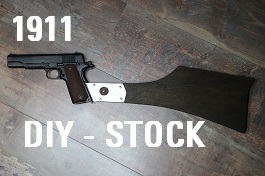 The slide stop falls well under the right thumb (right handed gun), the hammer has 3 positions and can be disarmed by bringing it forward while trigger is pressed. 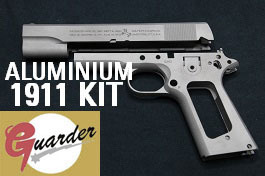 The sights are reduced to their simplest expression as those of 1911, but much more practical. Appreciable important thing, WE has added a security, a small rod above the left grip, small and discrete but unpractical while playing. 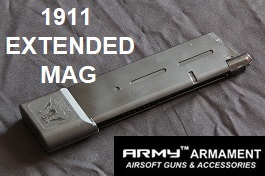 The mag can hold 15 BB’s but I recommend you put only 14 otherwise you risk damaging the nozzle ; a gas charge can take about 2 loads of BB’s at least. Finally, despite a century-old ergonomics, the handling is quite good for those who are used to these old machines. Performance : Here I must admit to be pleasantly surprised, exit the very capricious SRC TT33, WE is playing in another court. 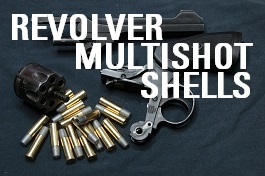 The slide moves smoothly, no hitch, a nice little metallic sound and a very nice kick for a small GBB, the trigger is short and not as hard as the SRC model which is a very good thing for fast shooting. 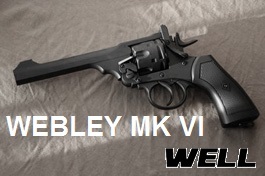 It shoots around 340 fps with green gas, which is quite high ; disappointing, some associations allow 330 fps max for back-up ; however with the use of a lower gas, it should be closer to 300 fps. No missfeed, no degassing at 68°F after thirty quick shots on the same mag, so good point. 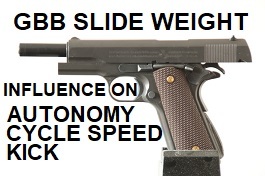 You will be disappointed by precision out of box, BB’s have no hop-up effect, even if fully set. 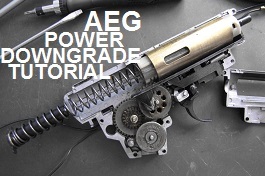 In fact the replica oozes silicone oil everywhere and disassembly confirms that there is a lot in barrel and hop-up, so do not expect to get great performances without disassembling your TT33. 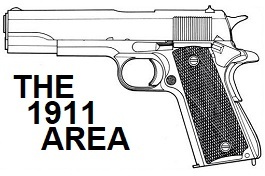 However after thorough cleaning and adjustment, the bb gets in range, range has nothing exceptional, slightly below a Tercel 1911 for example, and grouping is pretty average. 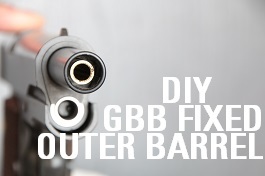 The barrel (97.5mm) and the bucking are Marui standard, so easy improvement ! 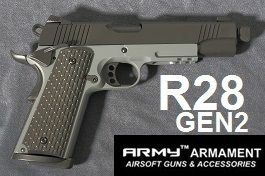 Unfit for accurate long range shots but its fairly rapid fire will allow you to come through honorably in close combat. 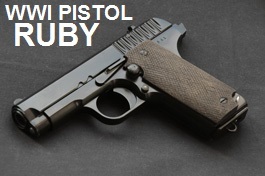 Conclusion : I was very disappointed with my only WE replica, a Browning HP 1935, one of their first GBB. But I must say that the brand seems to have dramatically changed, their next-generation GBB are acclaimed by players. WE gives us here a ww2 GBB with a very good finish, exemplary at this price and perfectly playable – after a little cleaning – with reasonably good performance. 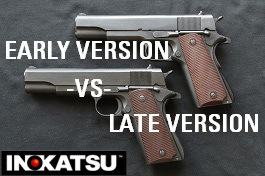 The most demanding players can always upgrade it. 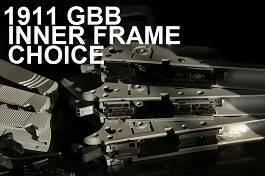 What about the price, it is the cheapest on the market and yet probably the best choice compared to its KWA and SRC competitors. – Nice cardboard box and manual in several languages, but rather poor bundle: replica and manual. – Requires a complete degreasing.